The Homeplace was lovingly built in 1891, by my grandfather Timothy O. Tillett and his wife, Calcedonia (Donie) Daniel. Together they had 13 children, 12 of which were born in the suite guest bedroom between l892 and l914. 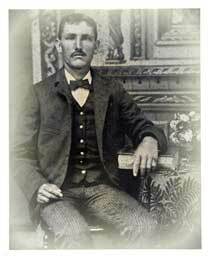 Timothy O. Tillett was born in 1869 to Josiah "Joe" Holly Tillett and Levenia Tillett in Nags Head Woods. 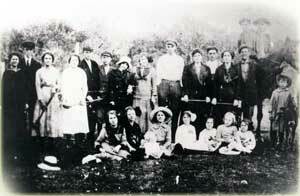 The Tillett Family lived for generations in Nags Head Woods and traces their heritage back to the early 1700's. Timothy's great grandfather received all of Nags Head Woods from sound to sea by land grant from the Lord's Proprietors of North Carolina. There are four Tillett Family Cemeteries in Nags Head Woods that bear our family names and dates. Shortly after Timothy's parents were married in 1858, Joe Holly was appointed assistant keeper of the Bodie Island Lighthouse in Nags Head from l859 to l860; Joe Holly resigned to take care of the family and the homeplace in Nags Head Woods. Timothy was 1 of 12 children born to Joe Holly and Levenia. About 1885, sometime after the death of his parents, Timothy traded a large share of his land from sound to sea, which was a large portion of Jockey's Ridge, for 2 shad boats to seek work on the Ben Daniels Farm in the fishing village of Wanchese. Timothy was an experienced waterman, skilled carpenter and excellent farmer. Numerous stories are told about the amazing farming skills Joe Holly taught his children. A budding romance developed between Ben's daughter Calcedonia and Timothy. 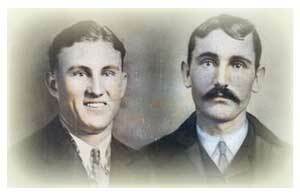 Timothy and Calcedonia were married in April l890 and began building the Tillett Homeplace in early l891. The land on which the Homeplace stands was originally a tract belonging to the Daniels family that encompassed the entire southern one-half of Roanoke Island. The land has been in family hands continually since 1736. The Homeplace was always the center of activities. Every Sunday after church all the family gathered for a fried chicken dinner. After dinner they all met on the front lawn for a game of horseshoes and croquet. Often the schoolteacher joined the family and friends. The children invited their friends and the older girls brought their boyfriends. A grand time was had by all. Timothy and Calcedonia slept in the downstairs master bedroom. The parlor adjacent to the center hall was known as the "courting parlor" and was always filled with laughter and games. Our barns and the "tater house" were filled with fresh vegetables and cured meats. Fruit trees, grapevines and fig trees provided an array of fruit for the family and neighbors. Timothy could not have farmed the homeplace lands or built this home if it were not for faithful "Bob" the family horse. Timothy loved Bob for 25 years…..everybody loved Bob! My Dad, Alfred Timothy was the last sibling born in l914. Dad inherited the Homeplace after the death of his father Timothy in l938 and his mother Calcedonia in l943. In those days, the youngest child inherited the Homeplace. In 1933, my Dad drove his 1931 Ford convertible with a rumble seat to Washington D.C. to visit his sister Helen Stokely. Helen met and married Edward Stokely while he was stationed at the Nags Head Beaches working for the WPA, a federal government program to stabilize the dunes along the Ocean. My Uncle Edward's job took him back to Washington D.C.
Dad traveled to Washington D.C. to visit his sister, Helen, and while there a romance developed with his sister's next door neighbor Helen Griffith. Dad and my mother Helen Griffith were married in May 1936. My Mother told me that when she first saw Dad he stepped over the car door near the rumble seat and was barefooted. My, he was so handsome and all sun tanned. My Mother never saw anyone going barefooted in the city, much less driving a car barefooted! I was born in Washington, D.C.
Dad always came to Wanchese to visit his family. As a young girl I loved coming from the city to Wanchese. It was so dark at night! The bugs and mosquitos were really bad. We used oil lamps for light to make our way upstairs to bed. I will always remember those wonderful featherbeds and pillows, and waking up to the roosters crowing all over the neighborhood. The open windows invited the rush of country salt air blowing the curtains. Today, my bedroom upstairs is that same bedroom with all those memories. After living in Washington D.C. for 45 years, my parents moved to Wanchese and spend more than one year restoring the Tillett Homeplace. In Commemoration of my Dad's 100th Birthday in 2014, the Timothy O. Tillett Homeplace opened its doors to continue the Tillett Family hospitality. 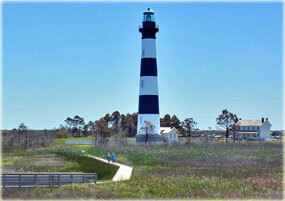 I trust you will enjoy your stay with us and explore the charming village of Wanchese and Historic Roanoke Island. I look forward to making your stay most memorable in this special home symbolizing love and faith.